Yesterday evening I attended a soft opening event for Your Pie, a fast-casual pizza place that will soon be opening at 1625 Main Street, at the bottom of SkyHouse Houston. (Yes, one of Houston's residential high-rises actually has a retail and dining component!) As part of Central Houston's CHIME group, we had the privilege of giving the folks at Your Pie a simulation of their "down-the-line" pizza operation. We've known about the restaurant since the spring, but it is now just set to open Friday, January 8th. Math people will like this: To celebrate the restaurant's grand opening on Friday January 8th, Your Pie will be offering pizzas for just $3.14 from 11AM to Midnight. Yes, it's true that you essentially make your own pizza, or at least get to choose your own toppings. It's not quite as exhilarating as Kramer describes his make-your-own-pizza restaurant in Seinfeld's "Male Unbonding" episode. No, you won't be able to shove your arms into a 600 degree oven, but you are given free reign in selecting your toppings. There are three crusts, around a half dozen sauces and cheeses, and over 30 toppings. Pizzas, panini, and salads will run $8.99. Of course, if you can't choose, there were a few favorite combinations for each already selected on the menu. (I enjoyed the Nat, with a pesto sauce, mozzarella, feta, sun-dried tomatoes spinach and chicken). There are 25 craft beers on tap, as well as selection of wine, and one of the ever popular Coca-Cola Freestyle machines. Co-owner of the Houston Your Pie location, Cindy Thomsen of Houston's Personette Group, spoke to CHIME members about her desire to be one of the first people to bring the steadily growing restaurant category of fast-casual pizza to Houston. (Pie Five, another fast-casual pizza restaurant, recently opened at 107 Yale Street near the Houston Heights. It's comparable to Your Pie, with small variations in topping selection.) She and real estate partner, Laurie Personette-Null, had their eyes set on the location for 18 months, and explored franchising a number of other fast-casual pizza brands before selecting Your Pie. They noted that they chose Your Pie because of the quality of ingredients and the company's people. 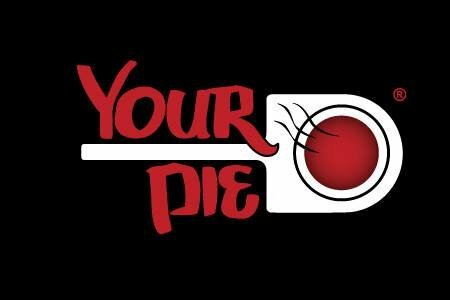 Thomsen also mentioned that she and Personette-Null had secured exclusive rights to any other Houston-area Your Pie locations, and plan to open additional Your Pie locations in the future. Your Pie founder Drew French was even on hand last night to assist in guiding the location's grand opening this Friday. The Your Pie chain originates from Athens, Georgia, having opened in 2008. It's been making its way westward with its most recently opened store in Homewood, Alabama. Planned locations include Mesa, Arizona, and Oklahoma City, Oklahoma. At $8.99, this might be a bit more than people are willing to spend for a pizza, especially given the distance that the restaurant is from Downtown Houston's concentration of office buildings, but the quality of the ingredients will likely make up for the price. I'd imagine the addition of a second SkyHouse residential tower (SkyHouse Main), and the Block 334 Residences will be an additional boost to business. Your Pie will be another welcomed dining addition to the southern portion of Downtown Houston, joining Burger Theory in the recently opened Holiday Inn Houston Downtown. If you're in Downtown Houston (or want to take the METRORail, as a stop is just steps away) and are looking for a quick pizza fix with the freedom of a large number of quality toppings, be sure to give Your Pie a try. Included below are some additional pictures of Wednesday night's soft opening. I've been here once, loved the taste, loved the service.